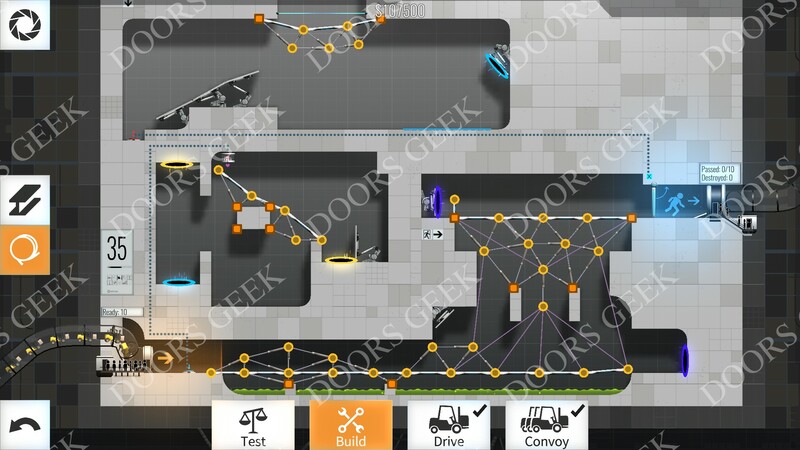 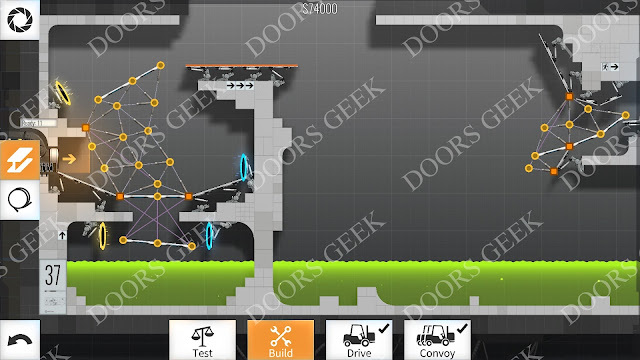 Bridge Constructor Portal Level 39 (Aerial Tennis) Convoy Walkthrough, Cheats, Solution for Android, iPhone, iPad, iPod and PC (Steam). 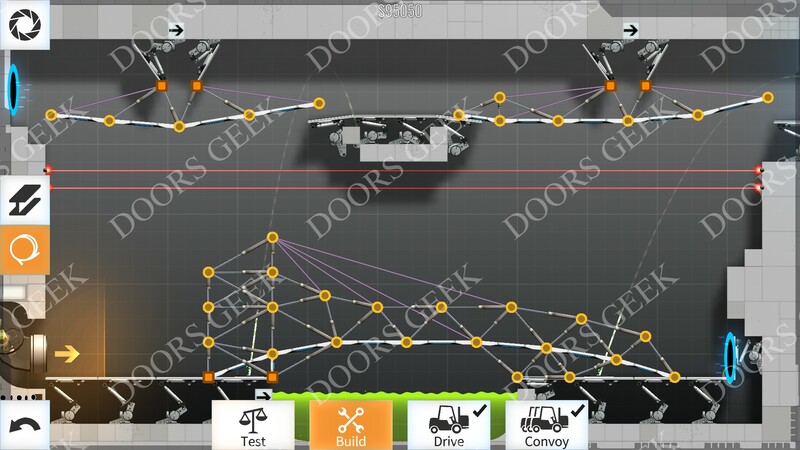 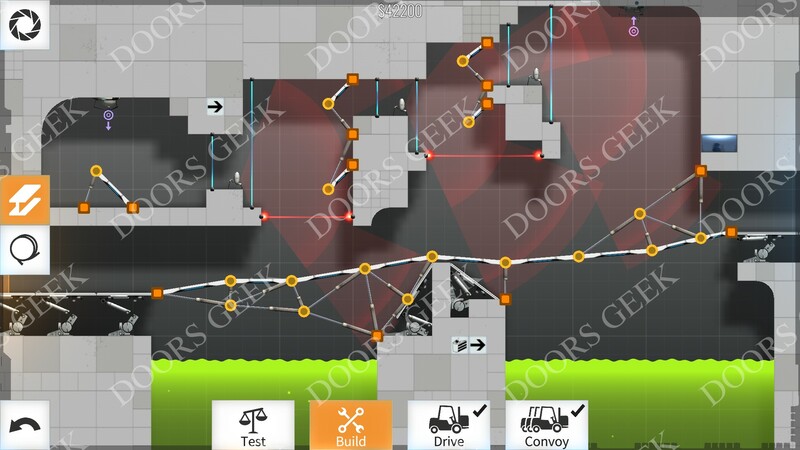 Note: This is "Bridge Constructor Portal" by "Headup Games"
Bridge Constructor Portal Level 38 (Turret Stairs) Convoy Walkthrough, Cheats, Solution for Android, iPhone, iPad, iPod and PC (Steam). 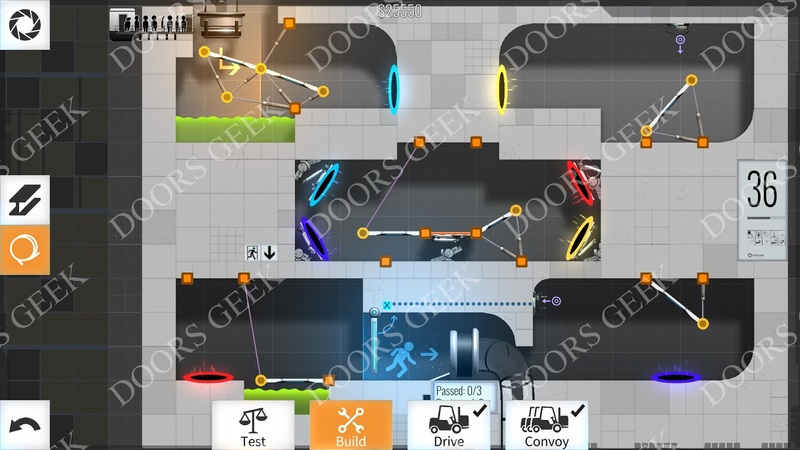 Bridge Constructor Portal Level 37 (Full Throttle) Convoy Walkthrough, Cheats, Solution for Android, iPhone, iPad, iPod and PC (Steam). Bridge Constructor Portal Level 36 (Paralleled) Convoy Walkthrough, Cheats, Solution for Android, iPhone, iPad, iPod and PC (Steam). 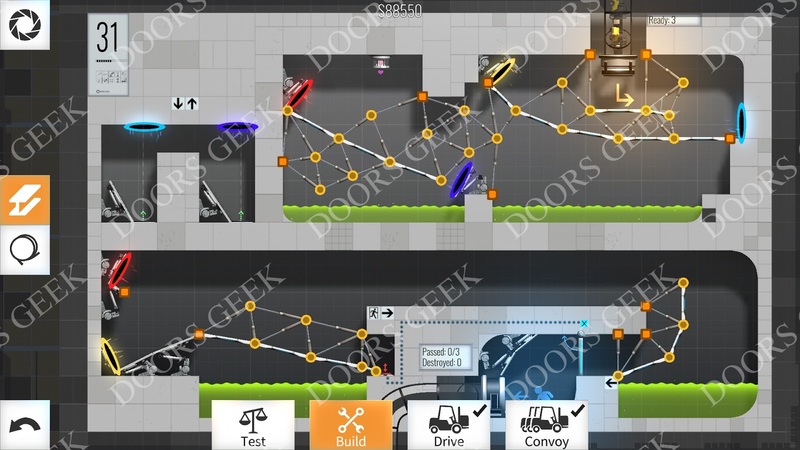 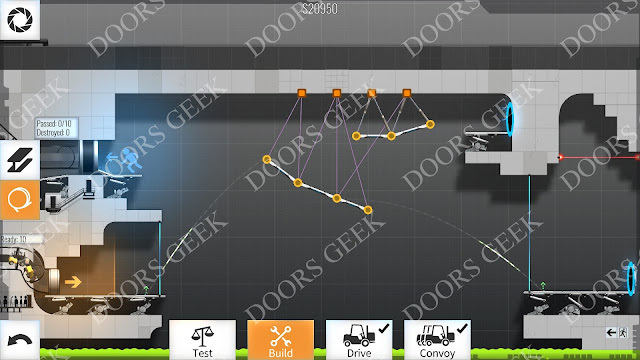 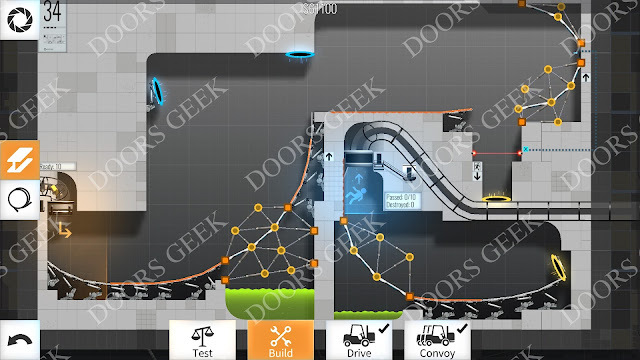 Bridge Constructor Portal Level 35 (Cubounce) Convoy Walkthrough, Cheats, Solution for Android, iPhone, iPad, iPod and PC (Steam). Bridge Constructor Portal Level 34 (Vertical Limits) Convoy Walkthrough, Cheats, Solution for Android, iPhone, iPad, iPod and PC (Steam). Bridge Constructor Portal Level 33 (Don't Kiss on the first date) Convoy Walkthrough, Cheats, Solution for Android, iPhone, iPad, iPod and PC (Steam). 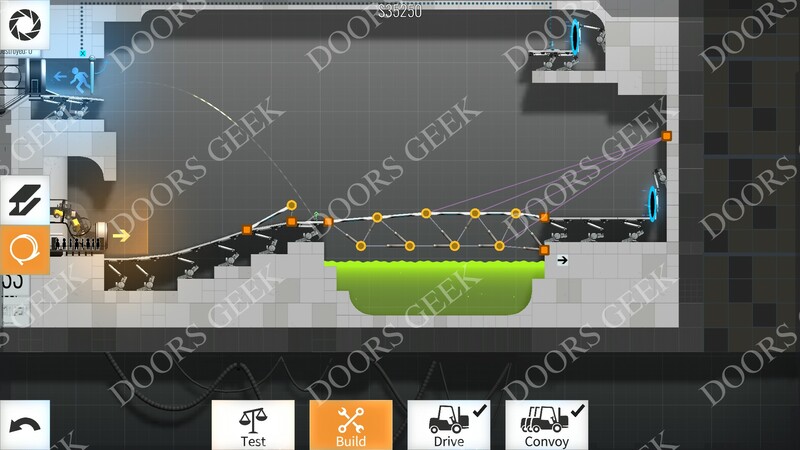 Bridge Constructor Portal Level 32 (Avoid Launch) Convoy Walkthrough, Cheats, Solution for Android, iPhone, iPad, iPod and PC (Steam). Bridge Constructor Portal Level 31 (Rewind) Convoy Walkthrough, Cheats, Solution for Android, iPhone, iPad, iPod and PC (Steam).